Reposted from my post on the Grubb & Ellis National Data Center Practice Blog. Back in September, when 111 Eighth Avenue – one of the world’s premier carrier hotels was up for sale, I mentioned in a blog post that “an astute purchaser [of the building] will see the inherent value in great tenants with excellent credit (like Google), and data center tenants.” I did not predict at the time that Google itself would purchase the building. Now that Google has purchased the building, and has shown its intent to expand its presence in the building as quickly as possible, many of our clients have asked us what Google intends to do with the building’s data center tenants. 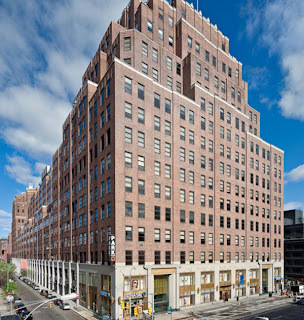 What we do know, as we reported in our last New York Metro report, and was further reported by Datacenter Dynamics and Seeking Alpha, is that Google has taken all available space in 111 Eighth Avenue (aside from retail space) off the market. We have heard rumors that current tenants without renewal options have received letters from Google indicating that they should not expect to renew in place, and real estate industry sources claim that Google tried unsuccessfully to buy Nike out of its sixth floor lease. We have also heard from a data center tenant in the building, that the company received an ultimatum to the effect of – we will let you renew your POP space if you agree to terminate your office space early. The jury is out for the future of data center tenants, but it certainly appears that new data center users and expanding tenants will not have any options in the building. So, this leaves me wondering, if I were Larry Page (oh if only! ), what would I do? The short answer is, that I would let the data center tenants stay, albeit at very high rents. In explaining this to a colleague, I started by attempting to explain “latency,” “hops,” and 111 Eighth’s place in the Internet’s infrastructure as an “ecosystem” of carriers and networks. He replied, “so it’s sort of like the Grand Central of the internet?” I love this analogy. If you compare 111 Eighth Avenue to New York City’s public transportation system, the building is like Grand Central, Penn Station and the Port Authority combined. If Amtrak purchased Penn Station, it wouldn’t kick out New Jersey Transit and the Long Island Railroad, because so much of the value in the building is the ability to easily connect from one form of transportation to the other. If Amtrak didn’t want to lose the commuter business that goes through the building, it would have to provide the same services that New Jersey Transit and the Long Island Railroad provide. In my next post, I’ll touch on how other data center operators and landlords are looking to create “The Next 111 Eighth Avenue,” and where the opportunity lies in New York City.